Tylan is the soul, the D can get worse and of course, we know absolutely nothing. If we learned five things, we didn’t learn about five hundred. I’ve been saying this for two weeks, but I’ve never experienced a team or situation like this in which I legitimately feel like I knew more about what the product was before I saw it than after I saw it for 720 minutes. That, just like the season, makes no sense. Regardless, here are five things I’m pretty sure we probably sort of learned about Oklahoma State football and its place in the Big 12 pecking order in 2018. The common phrase tossed around when Glenn Spencer was let go of earlier in 2018 was something along the lines of, “Well, how much worse can it get?” The answer: It can get a lot worse! 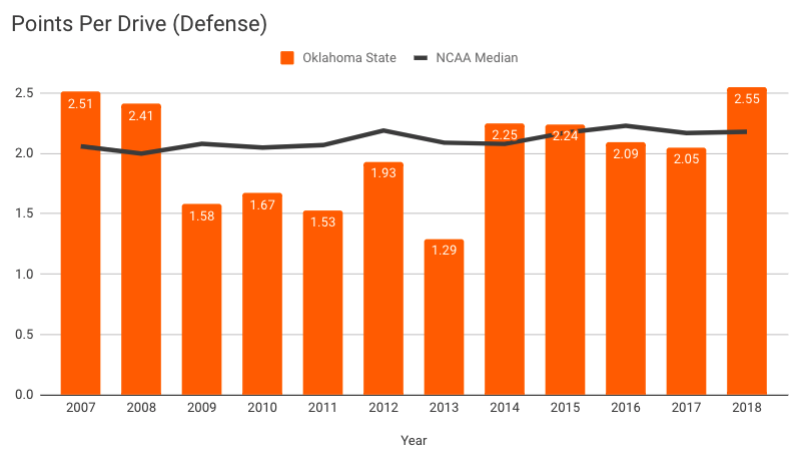 Maybe it didn’t feel this way because the offense had its own ups and downs, but Oklahoma State’s defense took a step back in 2018 … and then lost basically its top six defensive linemen for 2019. While I think there are some young, exciting talents in the secondary, I’m not overly optimistic for Year 2 of the Jim Knowles era. We know nothing. I say that somewhat jokingly, but also I think there’s wisdom in operating a sports media endeavor such as this one as if we know nothing. We can try to know some things, but — lest we start taking ourselves too seriously — we have to remember that we really know nothing. The numbers all essentially flipped. If these figures are any indication, this was the most un-Gundy like team we have ever watched. He has made a career out of beating teams he’s supposed to beat and not worrying about the rest. It’s a consistency that I’m not sure anyone has appreciated. OSU takes care of business. Or they did until this year, and then they didn’t. Unless a top-20 team was involved. Except in Bedlam. I wrote this in my preseason predictions. Tylan, not Tyron: This feels like heresy and I might need a hot shower after I type it, but I think Tylan is good. Really good. Like, “I know OSU went to Tyron with the whole dang thing on the line against OU last year, but Tylan is actually going to be the featured film on the outside this season” good. Please ignore the other four predictions, but definitely focus on that one! Beyond the numbers, though, and beyond all the hype and hoopla, I think Tylan has a real chance to be the heart and soul of next year’s offense (and hopefully 2020’s, too). He’s a dynamic personality to be around, has the respect of everybody in the room and now has a monster season to back it all up. 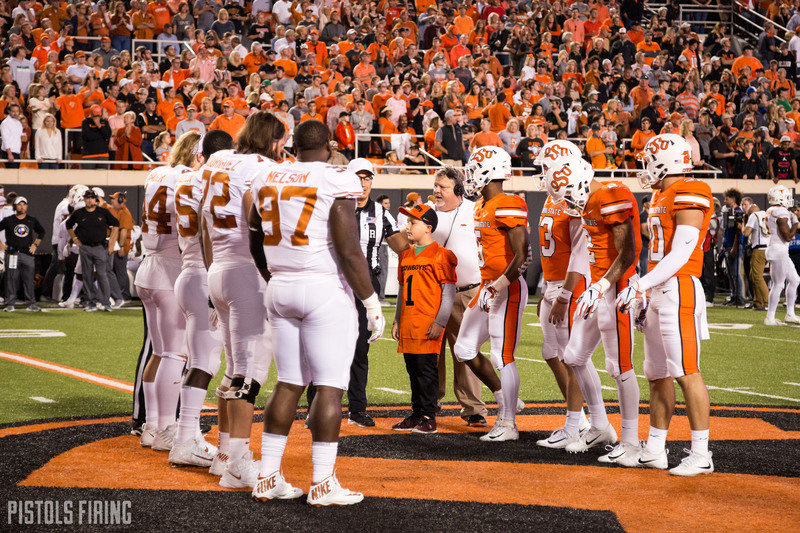 When Gundy talks about needing leaders, Tylan is at the top of my list (and probably his). I’m not here — or anywhere — for the “wait, is Chuba better than Justice?” slander. 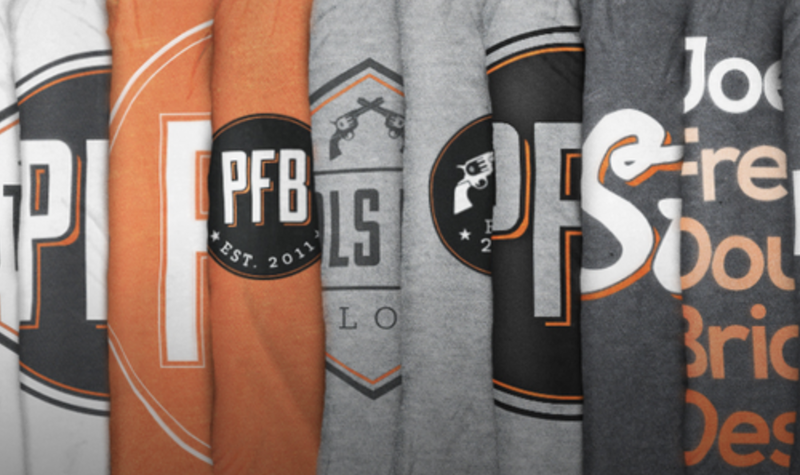 Please stop with that (I’m speaking directly to everyone else on the PFB team under age 30) and go watch these 10 runs from Justice. Get back with me when Chuba jump cuts five people into oblivion on the same run. But still, I think there were questions coming into the season — at least from me — about whether Chuba could be a Canadian bellcow. He can. Not like Justice, but he can be good enough for OSU to contend at the top of the Big 12 (the issues are more with RBs 2-5 and every position on defense). I was impressed less with his top-end speed (break something off … anything!) and more with his toughness between the tackles. His versatility was staggering, and he did it (over and over again) against the best teams Oklahoma State played. I don’t necessarily have a problem with him being scared to play a true freshman QB, except for the fact that he said he wasn’t scared to less than 12 months ago and the fact that he may have sacrificed part of 2019 at the altar of a 6-6 campaign in 2018. The Wes Lunt scars may never heal. And I will never again buy stock in a freshman QB starting at Oklahoma State University as long as Mike Gundy is the coach. I wasn’t at the WVU game, but I was there for Homecoming. It was — I’m trying to be objective about this — as loud and as theatrical as Norman was for that stunning Bedlam game (which I was also at). Fall football at night in Stillwater might not be the biggest deal, but it’s still an absolutely wonderful (and festive) endeavor that I hope continues to get better and better and better from here. There’s nothing like it. Big night games in BPS are what Big 12 games in old GIA used to be. An electrifying cacophony of fervor from the very beginning to the very end.